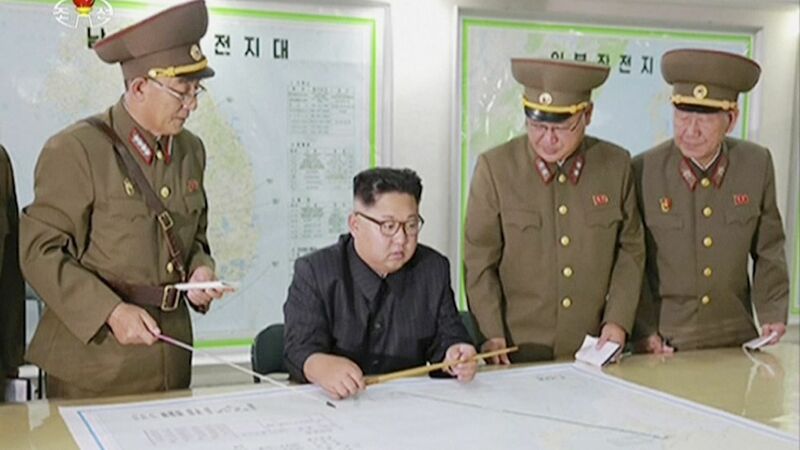 South Korea's Joint Chiefs of Staff said several "projectiles" have been fired into the sea between the Koreas and Japan, per the AP. U.S. Pacific Command spokesman, Commander David Benham, said there were three short-range ballistic missile launches, the NYT reports. Two of them may have failed in flight, one appears to have blown up almost immediately, and they did not pose a threat to North America or Guam, per Benham. Pacific Command is still assessing whether the first two failed in flight. Why it matters: This comes during the U.S.-South Korean joint military exercises, which North Korea tends to perceive as rehearsals for invasion — the North has already responded by likening the drills to "pouring gasoline on fire." This launch could be bluster and propaganda, a demonstration of force, or a real test of capability. Last year North Korea tested a submarine-launched ballistic missile during the biannual exercises.